Every Monday there are a number of companies which treat their social media fans with giveaways and contests. You know that I love contests and if you love contests then you’ll appreciate that I’ve published this round-up of the Monday giveaways and contests in one easy guide. 1. Dave Lackie: Cityline Beauty Expert has giveaways every day on Twitter. Visit Dave Lackie on Twitter and retweet his giveaway posts to enter. 2. Kernels Extraordinary Popcorn: #MondayBlitz is a weekly flash contest which opens around 3pm ET and runs until 11:59pm ET. Visit the Kernels Extraordinary Popcorn Facebook page to find the weekly giveaway post every Monday. The last Monday of the month usually has 2 winners instead of 1. 3. RoomMates Decor: Offers a weekly giveaway on Mondays which opens at 12pm ET. You can win RoomMates products and more. Check the RoomMates Facebook page on Mondays to enter. 4. SCENE: #BookMonday weekly giveaway to win a novel that is behind the making of a movie. Visit the SCENE Facebook page on Monday’s and find the contest post to enter. 5. 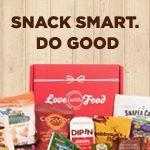 Smart Sweets: Sweet Monday giveaway to win Smart Sweets products. Visit the Smart Sweets Facebook page on Monday’s for the latest giveaways. 6. Touro Steakhouse: (Richmond Hill, ON) #MeatyMonday weekly giveaway called for a chance to win dinner for two. Visit the Touro Steakhouse Facebook page to find the contest post and enter. 7. Tricolore Sports: #MysteryArticleMonday giveaway happens on the Tricolore Facebook page. Look for the weekly post and follow the instructions to enter. 8. Mamma’s Pizza: (Best for GTA) #MammasMonday #MammasPizza weekly giveaway to win pizza! Visit the Mammas Pizza Facebook page to enter. There is no guarantee that these companies will host contests each week, but typically they do. The posting times vary on these giveaways so if you don’t see it in the morning, check again in the afternoon. If you know of any other Monday giveaways and contests, please leave me a comment below and I’ll add it to list. Thank you , entered a few of the giveaways.